When an individual makes a poor financial decision, there is a real possibility it will have lasting consequences later in their life. This is because of the way that the United States operates when it comes to residents’ spending histories. The reporting of the major credit bureaus is what showcases how one has utilized their assets, what their current debt is, and what trends of expenditures they have in their life. This is why people who make mistakes at an early age will get haunted by a bad credit score later on. So, how does one approach a basic procedure such as a credit card application with a bad credit? The solution is a secured credit card. Guaranteed approval credit cards are based on whether you qualify after meeting certain requirements. When we see guaranteed approval language for credit cards, we are more tempted to apply, but not to worry because the requirements to qualify are marginal. Guarantees in how to get approved for secured credit cards or guarantees in how to get approved for unsecured credit cards is more about choosing the right card that is going to help you improve your credit score rating, especially after a bankruptcy discharge. The majority of credit card companies don’t explicitly offer guaranteed approval. Rather, they use language similar to how you could prequalify or inviting words like there are no credit scores that don’t qualify. The guaranteed approval term for secured credit cards is based on making a deposit which is your credit limit. A guaranteed approval for unsecured credit cards involves certain fees and minimal limitations, but they are free from making upfront deposits. Let’s look at a few of the best secured credit cards in the market today, as well as the best unsecured credit cards for bad credit options. Almost all financial institutions will provide these types of credit cards. They are based on a prepayment that one will deposit, thus creating an allowance for their spending. After a person has proven trustworthy, that initial payment will be given back to them and they will own an unsecured credit card. These credit cards are used to rebuild one’s spending history and increase the credit score. 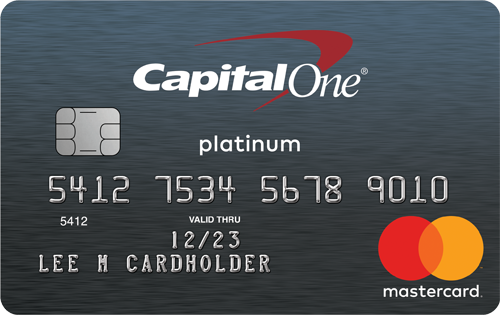 This option by Capital One Bank allows people to get an almost guaranteed approval with a low initial payment. It is made for those people who have a credit score in the are of 350 to 630, which is a very low end of the spectrum. The APR will be almost 25% or slightly above the average in the industry. Regardless, the bank will allow one to overcome the bad credit by facilitating installment payments for the initial deposit. Similar to the aforementioned secured credit card, this one follows a similar pattern. No annual fee, same credit score range, and a $200 minimum initial deposit are required. One difference is that this card will allow one to obtain cashback deals. Thus, every purchase will get around 1-2% rebate. This means that one can work on their bad credit while aiming to get an unsecured credit card eventually, as well as enjoy the benefits of cashback deals and promotions. By having the initial deposit, one is almost guaranteed approval as long as they have another checking account. This might be the most convenient option for those trying to avoid any type of credit check. The Capital Bank Opensky Card will provide a guaranteed approval as long as you make one deposit from $200 to $3,000 initially. Unlike the previous two, this card will have an annual fee of $35.This serves to compensate for the fact that one’s spending history is not even accessed. According to the bank’s statistics, most of the people who get this card move up to an unsecured credit card and get their credit scores increased in a timely manner. First Progress is a company that wants to help consumers restore their credit. It is one of the best secured credit cards in the market today. First Progress requires a deposit of between $200 and $2000. First Premier helps individuals who have bad credit but it’s a company that helps their customers to develop better spending habits. 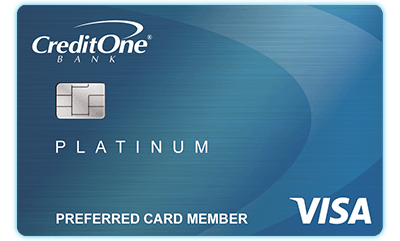 As one of the best secured credit cards in the market today, First Premier only requires simple deposits of $25, $55, $75, or $95. The application process is easy in knowing how to get approved for secured credit cards like First Premier Mastercard credit card. Total Visa secured credit card is also one of the best-secured credit cards in the market today that offers people with bad credit another opportunity to heal their credit rating and to get back on good credit footing. Knowing how to get approved for secured cards like Total is an easy application process with an $89 processing fee that opens your account. With the Total secured credit card, you receive a credit limit of $300, a one-time processing fee of $75, and for the first year a monthly charge of $6.25 beginning in the second year. Although there is no such thing as a guaranteed approval for these credit cards, one can contact the prospective bank to see what their odds are. The reason why they are harder to obtain than secured credit cards is that there is no collateral the bank can fall back on. Meaning, there are no assets to be repossessed such as an initial payment. This represents a higher risk for the bank, thus showcasing as a lower approval rate for the customers. The First Access unsecured Visa credit card is accepted wherever the Visa logo is featured. For guarantee approval, First Access comes the closest to this term with its promise to approve you when other credit card brands will not. They also make it easy for you to receive a credit line increase after six months. The initial credit line amount is $300. As one of the best-unsecured credit cards for bad credit, First Access provides security convenience and it can be used at ATM machines. Learning how to get approved for unsecured credit cards like Credit One is as easy as applying online with your personal and social security information. You receive a minimal annual fee, a $200 credit limit with an increase based on your good payment history, and cash back rewards which are automatically posted to your account. You also receive travel, accident, and car rental collision insurance. The Indigo Platinum unsecured Mastercard credit card is perfect for consumers who wish to restore their credit, especially after a bankruptcy discharge. Indigo’s promise to not disqualify you from having a bad credit history is as good as a guaranteed approval. The annual fee is ranged from $75 to $99. You can customize your own cards and the credit card comes with fraud protection and it is accepted everywhere the Mastercard logo is displayed. Use your mobile devices to monitor your account for transactions, to check your balance, and to pay bills. One should look into obtaining a secured credit card the moment that they realize their credit score is low. By just having a credit account open, it will help increase the credit score over time. Also, getting educated on spending limits and how to approach them is of extreme importance. Having a card is useless if one always exceeds their spending limits and is late with the payments. Researching online can facilitate better spending decisions and a brighter credit future! The best secured or unsecured credit cards for bad credit and that are described as guaranteed approval credit cards carry features that are designed to restore your credit. Secure or unsecured credit cards if used responsibly in the 7 to 10 years before your bankruptcy report has been removed from the consumer reporting agencies are a great beginning. The key to using the different categories of credit cards depends on a few smart tips that will help you. First, only use your cards to purchase items or products that you can pay off when the monthly statement arrives. Don’t charge more than you can pay off or you will be defeating the whole idea of improving your credit.